The riders may take centre stage, but with so many new models on display it is only right that the bikes get a look in too. Here's our pick of the top 10 Tour de France bikes to keep an eye out for over the next three weeks. Although Focus recently launched a disc brake-equipped version of the Izalco Max, the bike Ag2r La Mondiale will be riding at the Tour de France is unchanged from last year’s model. The frame retains its classic look with round tube profiles and is one of the few pro bikes still to feature external cable routing (although this will obviously be surplus to requirements for riders using the still unannounced SRAM Wireless groupset). With Focus not yet producing an aero road bike, the Izalco Max will be expected to deal with the majority of the Tour stages, although we’d expect some riders to switch to the more endurance focused Cayo for the cobbles of stage four. Accompanying the SRAM groupset are Zipp wheels and Fizik finishing kit. 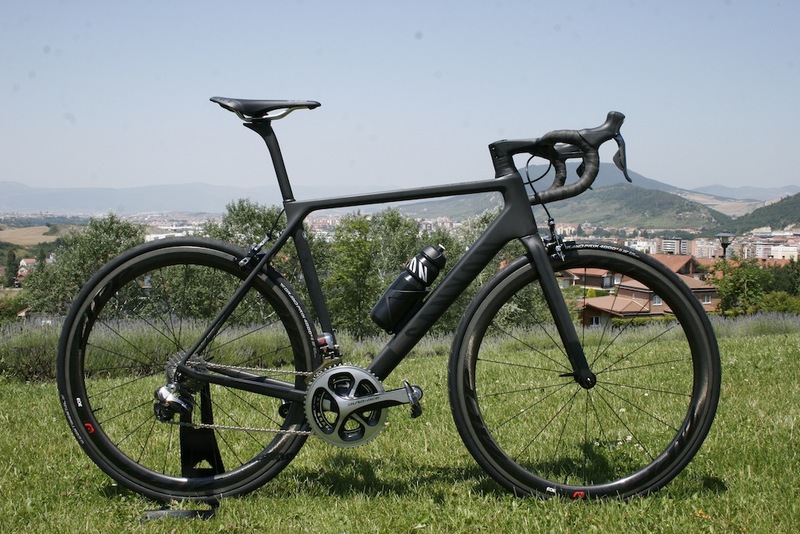 First spotted at the Route du Sud a couple of weeks ago, and officially unveiled shortly thereafter, the Canyon Ultimate CF SLX will be the bike that Nairo Quintana will rely on as he attempts to win the Tour on the cols of the Alps and Pyrenees. Canyon claims that the new frame weighs just 780g for a size 56, and is also more aerodynamic and comfortable than its predecessor – useful then for long mountainous stages such as the 198km trek across the Pyrenees to Plateau de Beille on stage 12. Unlike the bike shown above, Movistar will most likely be using Campagnolo Super Record EPS combined with Bora Ultra wheels, while Katusha’s Joaquim Rodriguez will attempt to mount his GC challenge on an Ultimate equipped with with Shimano Dura-Ace Di2 and Mavic wheels. The Lapierre Xelius SL might not be the sexiest bike in this year’s Tour de France, but it will carry the hopes of a nation as Thibaut Pinot attempts to improve on last year’s third place finish, something not beyond the realms of possibility given his strong performance in the Tour de Suisse. 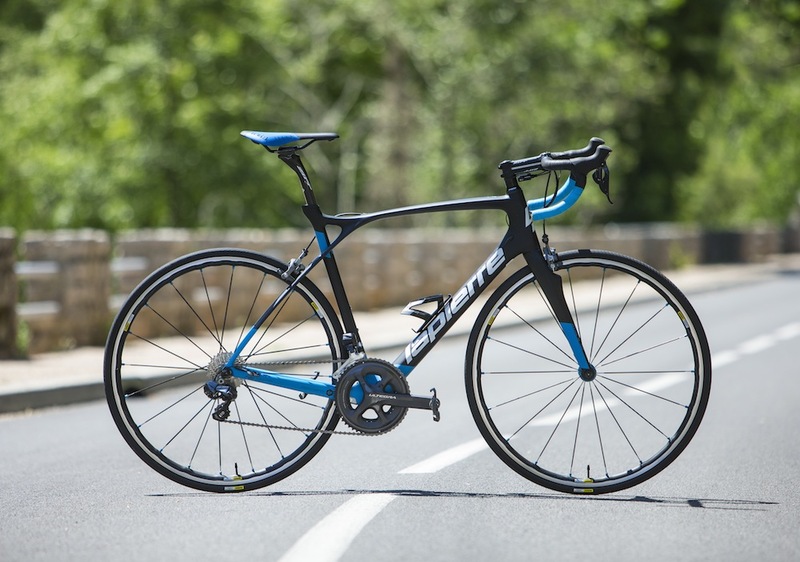 As you’d expect from a climber’s bike, the Xelius is a lightweight machine, with Lapierre claiming that a 54cm frame weighs in at only 840g. However it’s also designed to go downhill as well as it goes up (certainly a good thing given Pinot’s previous problems with descending) thanks to a lower centre of gravity than the old model. FDJ’s bikes will be fully kitted out courtesy of Shimano, with Dura-Ace Di2 shifting and braking, Shimano wheels and PRO finishing kit. Only launched this time last year, the Pinarello Dogma F8 is unchanged for 2015 (with Pinarello concentrating its attention on the disc brake version and the new K8-S suspension bike that will be called into action on stage four). Famously developed in conjunction with Jaguar, the F8 is designed to be the fastest bike possible whether the road is flat, uphill, or downhill, with a 47% improvement in aerodynamics and 120g reduction in weight over the previous Dogma. The bike that Chris Froome will attempt to ride to victory on the roads of France is actually similarly equipped to FDJ’s Xelius, with Shimano Dura-Ace Di2, Shimano wheels, and the finishing kit provided by PRO and Fizik, although Sky will use Stages power meters as opposed to the SRMs on the Lapierres. The first of two Specialized bikes on our list, the S-Works Tarmac might not be the lightest or most aerodynamic bike in the peloton, but comes with a palmarès that would be the envy of any bike manufacturer in the world. With a reputation for being a great all-rounder, the Tarmac will probably be the bike of choice for both Alberto Contador and Vincenzo Nibali whatever the stage profiles show, and with three top-quality teams all aboard the Tarmac, a podium in Paris could definitely be on the cards. All three teams will use different setups on the Tarmac, with Tinkoff-Saxo going for full Shimano Dura-Ace Di2 (although Contador will most likely stick with mechanical), Etixx-Quick Step for a combination of Shimano and FSA, and Astana for Campagnolo Super Record. The Scott Foil that will be ridden by selected riders from IAM Cycling and Orica-Greenedge will be one of the newest bikes on the Tour, having only been unveiled last week. Although the Foil that will hit the shops will feature an integrated bar and stem combo, both Orica and IAM won’t be using this due to sponsorship commitments with Prologo and Ritchey. Both teams will be part of the crowd and use Shimano Dura-Ace Di2, with Orica using Shimano wheels while IAM will stay true to their Swiss heritage with DT Swiss Spline, DiCut, and Mon Chasseral wheels. While the Merida Scultura 9000 LTD hit the headlines as the world’s lightest production bike when it was launched at the Giro d’Italia, Lampre-Merida will be aboard the slightly heavier, but also stiffer, Team Edition. However like the Canyon, this bike has not just been on a diet, but has also been redesigned with kammtail tube profiles throughout in an attempt to improve aerodynamics, with the positioning of the brake underneath the bottom bracket also aiding this while simulataneously improving comfort. Rui Costa and co. will be using Shimano Dura-Ace Di2 shifters and derailleurs, but combining this with a Rotor crankset and most probably a Rotor INpower power meter. The team will also be riding Fulcrum wheels and Prologo finishing kit. Few bikes fly under the radar quite like the new Ridley Fenix SL, which went unnoticed beneath Andre Greipel for the whole Classics season before finally being unveiled a couple of weeks back. Although Ridley also makes the lightweight Helium and the aero Noah, the Fenix is a favourite of the team for three week races thanks to the frame’s stability and comfort, and we’d expect to see it on the cobbles of stage four as well as some of the longer, flatter stages. As one of the handful of teams using Campagnolo, Lotto-Soudal’s bike will be equipped with Super Record EPS shifting, as well as Bora wheels rather than the Scirocco training hoops shown on the picture above. 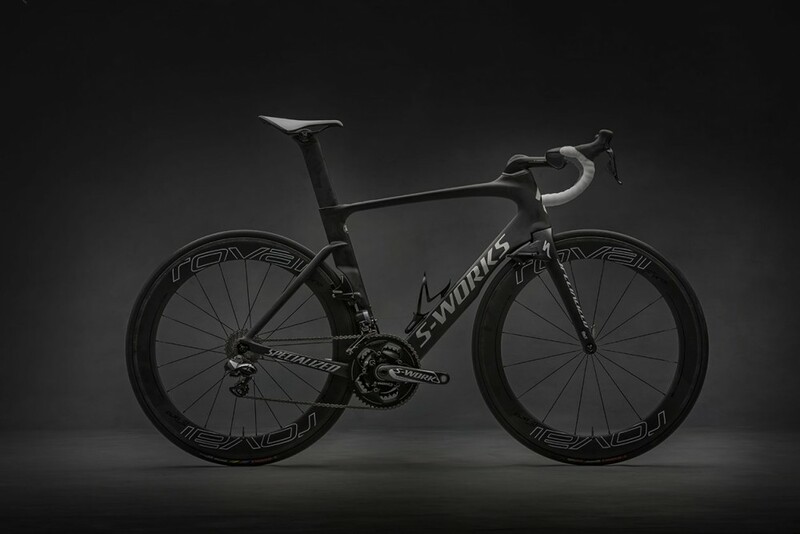 We’ve heard plenty of big claims about new bikes in our time, but the two minutes Specialized claims the new S-Works Venge ViAS will save you over 40km is probably the most outrageous in a while. This is apparently achieved through the repositioning of the brakes behind the fork crown and seat tube, as well as with a new integrated bar/stem combo. This stealthy-looking bike will be the machine that Mark Cavendish attempts to pilot to victory on the first road stage to Zélande, although unlike green jersey rival Peter Sagan, he won’t be able to call on the Roval wheels that this bike is designed to work best with. The Madone name might not be new to the Tour de France peloton, but the latest edition of Trek’s flagship road bike has received a complete redesign just in time for July. The new model is positioning itself right in among the latest generation of aero bikes, but also features a similar IsoSpeed decoupler at the seat tube/seatstay juntion to that found on the Trek Domane, so it will be interesting to see which model Trek Factory Racing opts for on the cobbles. The team will be riding full Shimano Dura-Ace Di2 as well as the updated Bontrager Aeolus wheels and finishing kit.